Operation Eagle(1971)- Public Grievance Registration Number: MODEF/E/2011/00761 dated 24 September, 2011 is asking Government of India to give due recognition to a participant of Prime Minister Indira Gandhi’s military action in the Chittagong Hill Tracts that initiated the Liberation of Bangladesh during 1971. Operation Eagle(1971)- Public Grievance: Dr. Manmohan Singh, the current Prime Minister of India is being asked to uphold the dignity of the Office of The Prime Minister of India. He has to make a decision to show respect and honor the decisions made by the former Prime Minister of India who initiated the Liberation of Bangladesh with military action in the Chittagong Hill Tracts during 1971. Operation Eagle-Gallantry Award-Public Grievance: Mr. Upamanyu Chatterjee, IAS, Joint Secretary, Chief Administrative Officer, Defence Headquarters Training Institute, Ministry of Defence, E Block, DHQ Zone, Dalhousie Road, New Delhi – 110 011 had received on 17 July, 2012 the Public Grievance bearing Registration Number: MODEF/E/2011/00761 dated 24 September , 2011. He is a reputed novelist. He must permit me to tell my Story. Subject: Registration of Public Grievance – OPERATION EAGLE – MILITARY ACTION IN CHITTAGONG HILL TRACTS -BANGLADESH OPS OF 1971 . OPERATION EAGLE – LIBERATION WAR OF BANGLADESH 1971. Reference:- Government of India Ministry of Defence Letter No. 3533/2009/D( Cer ) dated 2nd/3rd December, 2009. Operation Eagle was planned and executed by India’s Prime Minister and the military operation was commanded by Major General Sujan Singh Uban, Inspector General of Special Frontier Force. This is an establishment under the Directorate General of Security, Cabinet Secretariat and is not governed by the rules and procedures of Indian Army. The Special Frontier Force does not take its orders from Indian Army. 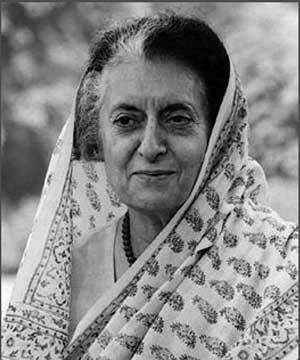 Under the Battle Plan and the Rules of Engagement, the Prime Minster of India made a specific provision to give the benefit of receiving Awards, Honours, and Decorations from Indian Army to a selected few participants and several other personnel who took part in Operation Eagle and got killed or injured were specifically excluded from getting a similar benefit. Indian Army has no jurisdictional power to stop the implementation of a benefit included in the Prime Minister’s Battle Plan. The Prime Minister did not impose such restrictions and time limits for receiving the benefit of Military Awards and Decorations. Military Secretary’s Branch, Army Headquarters, Ministry of Defence has issued this response. 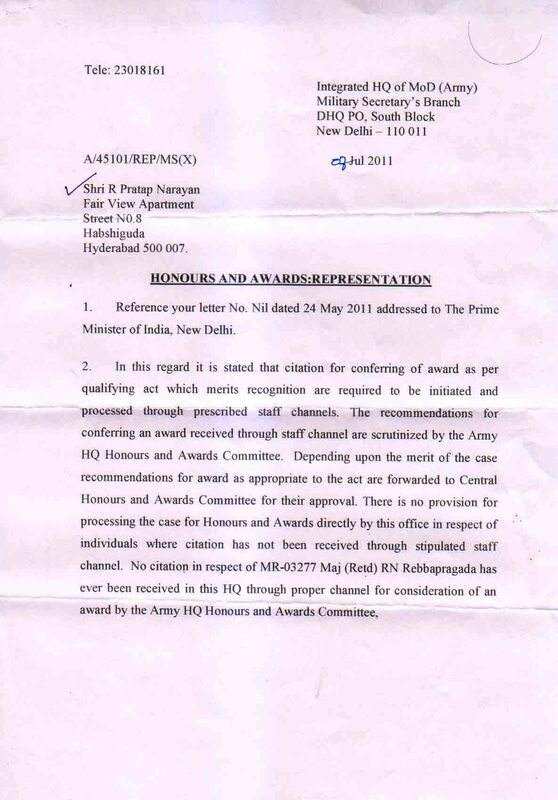 The letter claims that a citation was not received through Staff Channels. The Military Secretary”s Branch must not expose its ignorance in a written communication that would be viewed by people of India. Special Frontier Force had executed the military operation of Operation Eagle and the Battle Plan and the Rules of Engagement, and the Marching Orders were directly issued by the Prime Minister, and the Cabinet Secretariat. 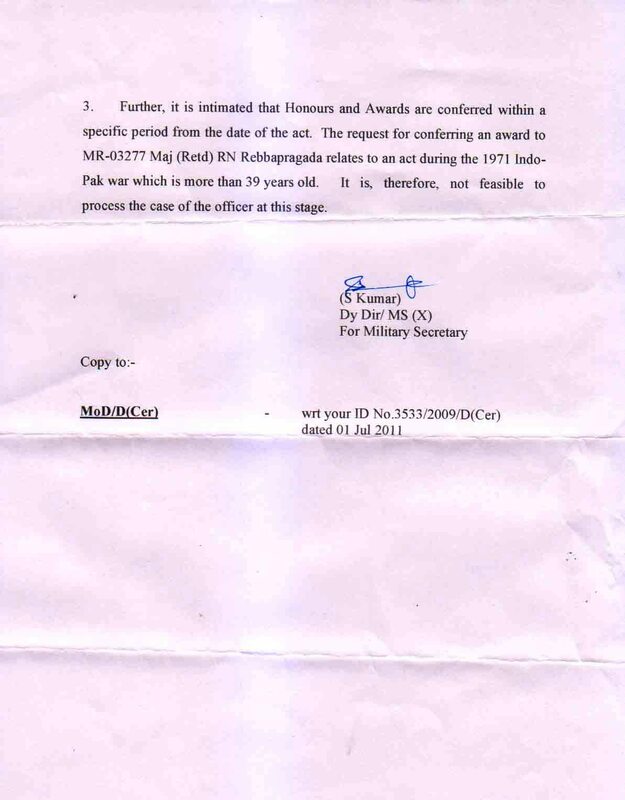 No Indian Army Staff Channels were involved in the conduct of Operation Eagle. The citations to confer Awards, Honours, and Decorations in respect of specific members who had participated in Operation Eagle were sent direct to the Branch of Indian Army Service to which the individual was affiliated. There was no need to use Staff Channels as this Operation was not a military operation planned or executed by Units or Formations of Indian Armed Forces. Shri. S. Kumar, Deputy Director, Military Secretary’s Branch, MS(X), Ministry of Defence(Army) in his two-page letter does not mention the word Operation Eagle. He has deliberately refused to speak about Operation Eagle. The Military Secretary’s Branch is intentionally concealing information and is beating around the bush. What are Staff Channels? What are those Staff Channels between Prime Minister’s Office, Cabinet Secretariat and the Military Secretary? 1. I am writing this letter to register a Public Grievance in the matter that pertains to my military service on deputation at Headquarters Establishment No. 22, C/O 56 APO , Special Frontier Force, Office of the Directorate General of Security, the Cabinet Secretariat, Rama Krishna Puram, New Delhi from 22-9-1971 to 18-12-1974. 2. Kindly register this public grievance about service related matter that pertains to my participation in Operation Eagle in Chittagong Hill Tracts in 1971. The details of my grievance are stated in my letter sent to Shri. 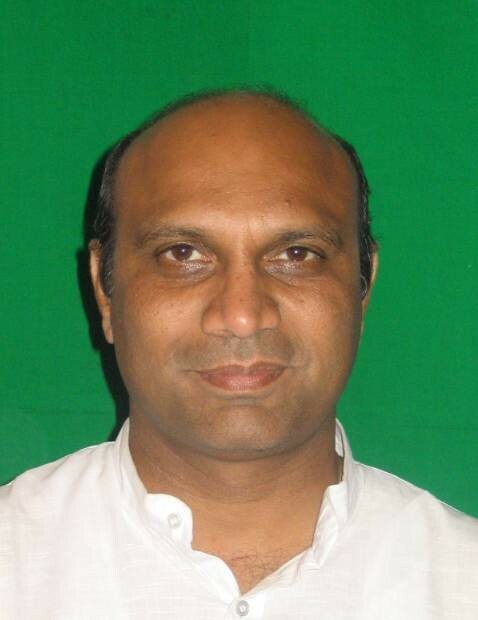 Mallapudi Mangapathi Pallam Raju, Honorable Minister of State for Defence. Kindly ask me if you need any further information in this matter. 3. Please acknowledge and send me your grievance registration number and date for my records. Operation Eagle-Public Grievance: Dr. Mallipudi Mangapathi Pallam Raju, Raksha Rajya Mantri, Union Minister of State for Defence, Ministry of Defence, Government of India may have received this Public Grievance. He has not yet responded to the Grievance. 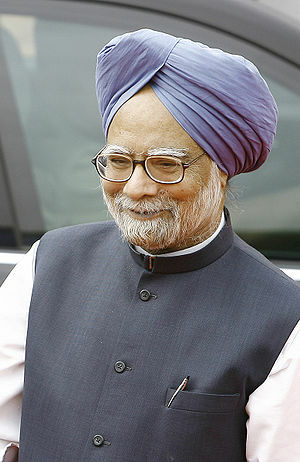 I would expect him to show due respect and honor the decisions made by the former Prime Minister of India. 1. I would like to introduce myself as son of Shri. Rebbapragada. 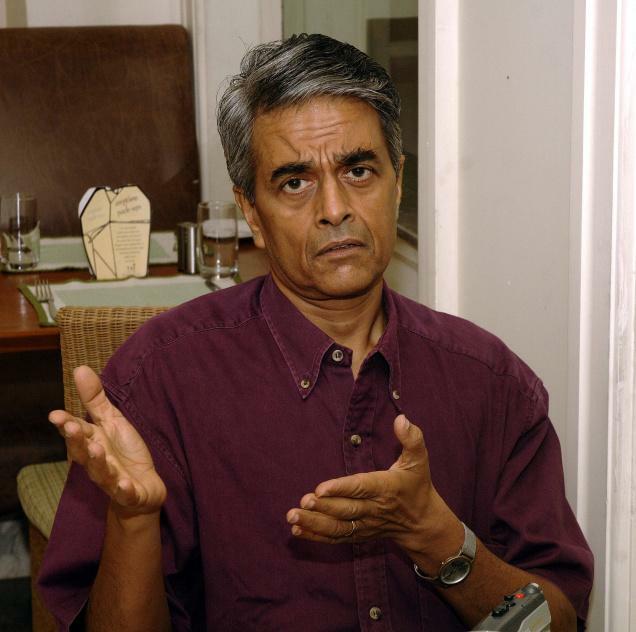 Suryanarayana Murthy, and a native of Rajahmundry, East Godavari District. I obtained my S.S.L.C. diploma in 1961 from Danavaipeta Municipal High School, Rajahmundry. I was granted Short Service Regular Commission in Army Medical Corps during 1969. The Service Records held by Medical Personnel Records Section-Officers, MPRS(O), Office of the Directorate General Armed Forces Medical Services, The DGAFMS, Ministry of Defence, New Delhi show that I am a permanent resident of Rajahmundry. 2. I would like to submit to you that the Ministry of Defence, Army Headquarters have no institutional capacity or jurisdiction over actions sanctioned and authorized by the Prime Minister, the Prime Minister’s Office, and the Cabinet Secretariat. 3. Army Medical Directorate, Army Headquarters, Ministry of Defence, New Delhi had issued posting orders that directed me to serve on deputation at Headquarters Establishment No.22, C/O 56 APO, Special Frontier Force, Office of the Directorate General of Security, The Cabinet Secretariat, R K Puram, New Delhi with effect from 22-9-1971 to 18-12-1974. I had participated in Operation Eagle under orders that I had received from my superior Officers under the authority sanctioned by the Prime Minister, Prime Minister’s Office, and the Cabinet Secretariat. The service that I had rendered was recognized by my Unit, and the Operational Command of Operation Eagle and I was duly recommended the award of Vir Chakra. Such recommendations given in recognition of my Service on deputation could not be rejected by Ministry of Defence/Army Headquarters who have no jurisdictional control over the military operation sanctioned by the Prime Minister, the Chief Executive Officer of Government of India. 4. Kindly review my letters sent to Honorable Prime Minister Dr. Manmohan Singh, Government of India, and take the necessary action as requested by me. Reference: Government of India Ministry of Defence Letter No. 3533/2009/D ( Cer ) dated 2nd/3rd December, 2009. 1. Kindly direct the Under Secretary ( Cer ), Ministry of Defence, Government of India to take action as per the citation initiated by my Unit while I had participated in Operation Eagle under the authority sanctioned by Prime Minister Indira Gandhi, Cabinet Secretariat, Government of India during 1971. 3.This military Operation was not ordered by the Defence Minister, and was not planned or executed by the orders that were issued by the Army Headquarters. Ministry of Defence, Army Headquarters. The Medical Directorate( DMS-Army ) had taken action during 1971 to send me on deputation to Special Frontier Force. The DMS(Army) and the Army Headquarters have no jurisdiction to invalidate the action taken by my Unit during its participation in Operation Eagle. Kindly ask me for any further clarification or information about the nature of military act for which my Unit recommended my name for the grant of Gallantry Award – Vir Chakra. 4. 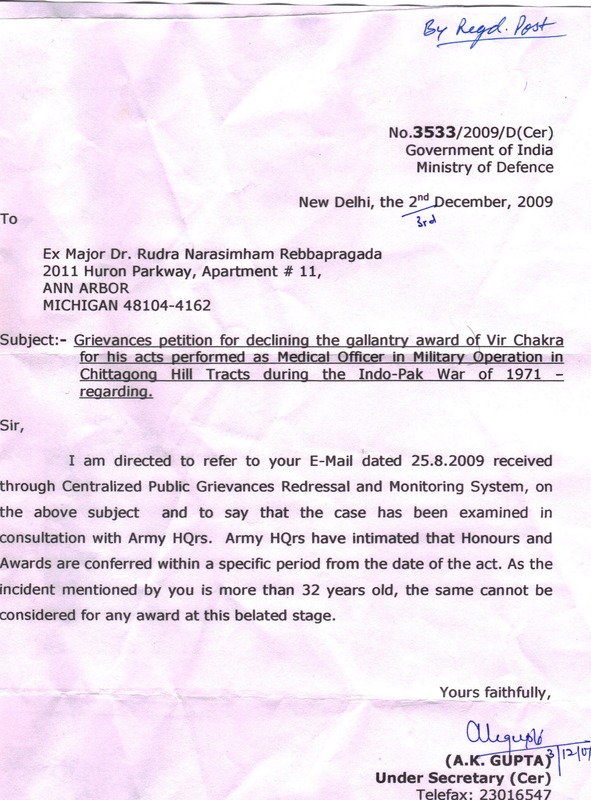 Ministry of Defence has no legal authority to refuse the sanction of this Gallantry Award. Army Headquarters may be informed of the fact and the nature of military service rendered by me while I was on deputation at Headquarters Establishment No. 22 of Special Frontier Force. To conduct the Military Operation of 1971 in Chittagong Hill Tracts, we have taken orders direct from the Prime Minister, The Prime Minister’s Office and the Cabinet Secretariat. 5. I would ask you to uphold the dignity of the Prime Minister’s Office. The actions taken by the Cabinet Secretariat should be treated with respect by the Ministry of Defence and Army Headquarters. R. Rudra Narasimham/R. R. Narasimham. Pingback: RAJAHMUNDRY – THE GATEWAY TO TRADITIONS AND HISTORY | Bhavanajagat. Pingback: THE STORY OF A JEW – REVISITING THE BIRTH OF BANGLADESH | Bhavanajagat. Pingback: ABOUT GUNS, VICTORY AND GALLANTRY AWARDS- BANGLADESH LIBERATION WAR OF 1971 | Bhavanajagat. Pingback: THE VICTORY OVER DEATH – THE PSYCHOLOGY OF WARFARE | Bhavanajagat. Pingback: SOMNATH – THE POWER OF CREATION vs THE POWER OF DESTRUCTION | Bhavanajagat. Pingback: LIBERATION WAR OF BANGLADESH – FALLEN HEROES ON BOTH SIDES | Bhavanajagat. 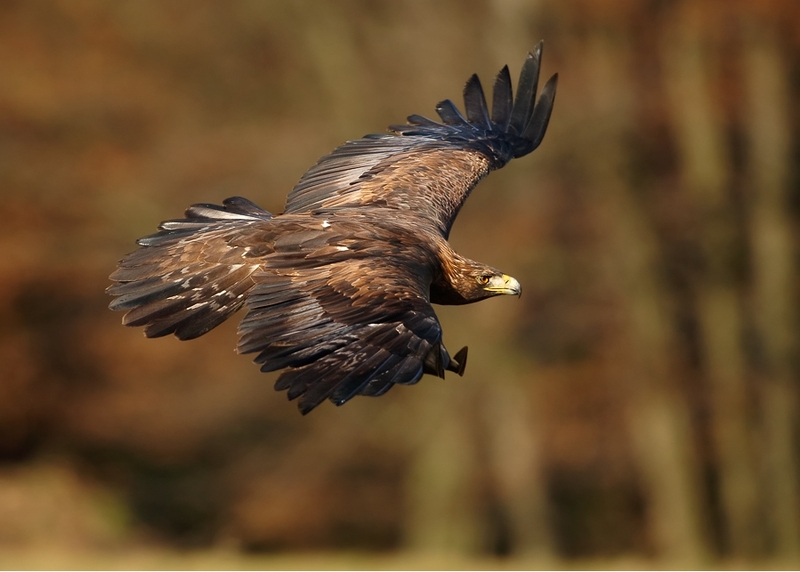 Pingback: OPERATION EAGLE – AN OPEN LETTER TO GOVERNMENT OF INDIA | Bhavanajagat. Pingback: INDIAN INDEPENDENCE-A MEASURE OF MY LIFE | Bhavanajagat. Pingback: OPERATION EAGLE 1971 – A SERMON IN KAPTAI BANGLADESH | Bhavanajagat. Pingback: A TRIBUTE TO RAJAHMUNDRY’S TRADITION-PERFORMING ARTS | Bhavanajagat. Pingback: DEFINING INDIAN IDENTITY-THE TRADITION OF ‘AHIMSA’. | Bhavanajagat. Pingback: OPERATION EAGLE – GALLANTRY AWARD | Bhavanajagat. Pingback: THE MOMENTS SLIP AWAY AND ARE LAID TO YOUR ACCOUNT AT PALGHAT | Bhavanajagat. Pingback: OPERATION EAGLE 1971 AND VIETNAM WAR | Bhavanajagat. Pingback: DEFINING INDIAN IDENTITY-INDIVIDUALISM | Bhavanajagat. Pingback: DEFINING INDIAN IDENTITY-THE TRADITIONAL GREETING | Bhavanajagat. Pingback: “IF ARRIVED, WILL DEPART, THE KING, THE SLAVE AND THE FAKIR” | Bhavanajagat.